Can’t wait for this game! Will there a demo soon? This will be the game that’s make me buy a PS4. Absolutely cannot wait for this game! Thursday night getting my PS4 and then I start anticipating InFamous! This is my most anticipated game I think! even if Infamous 2 disappointed me a bit compared to the first one, I like this franchise! Seriously, we have to get a trailer soon (15th). Just give me all that neon awesomeness!!! Oh, be honest: “neon” is just another of saying “electricity.” It’s also a way to get around the issue that is the inability to play as Cole. << Big Infamous fan, eager for I:SS. The screenshots are looking really good. 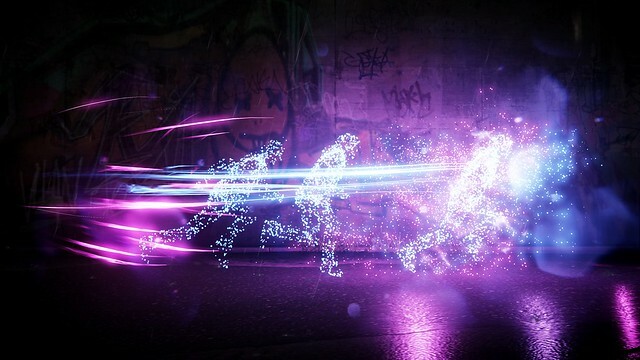 That neon power sounds like is gonna be a lot of fun to play with. Do you happen to know if this is still releasing in February 2014? I know there hasn’t been a release date announced but on your former co-worker’s (Greg Miller) show, they mentioned that this would be released in February 2014. I just wanted to make that was still the case. I wish this was a launch game. Looks insanely good. Outside of Killzone and Watch Dogs, this is my most anticipated next-gen game at the moment (that I’ve seen gameplay footage from). I want the collectors edition of that game NOW! Ryan I believe the title “powerhouse” belongs to infamous now. That game looks exquisite. Keep up the great work and always remember be good and BEYOND! @ PharmBoY044: Jack Tretton announced on-stage at E3 that it was releasing in February 2014. Until someone official (i.e. with Sony) says otherwise, I’d figure it’s a safe bet to make. Really, really looking forward to this game. I was sure that I2 was the end of the franchise, so getting more inFAMOUS is amazing. Sucker Punch keeps outdoing themselves. Would love to get a downloadable trailer for this on the PS4 soon after launch, so I can watch it every day! My most anticipated PS4 game! BEYOND! @11, not necessarily, yes electromagnetism produces light, but light is a category of its own. Cole’s powers were electricity (mainly) and magnetism (to some degree, but you can never seperate the two). 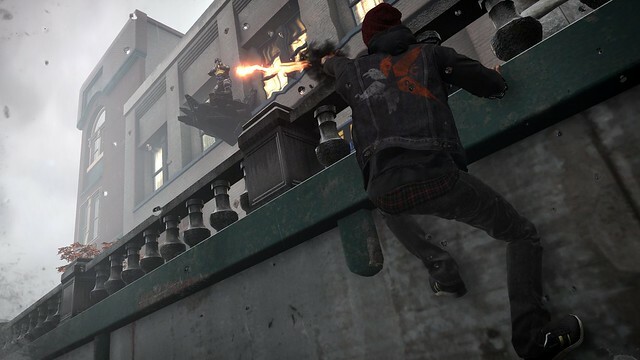 Second Son looks amazing. I believe they’ve confirmed that the game is locked at 30 FPS. Has there been any word as to what resolution it runs at? @ AizawaYuuichi Thanks. I hadn’t realized that Jack Tretton had mentioned a release date at E3. Really looking forward to playing this game. Got my copy pre ordered. Looking forward to a release date. 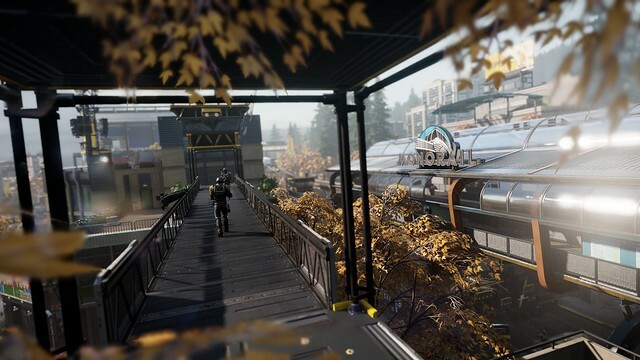 With no Watch Dogs, the current next gen line up is a bit weak until games like this drop. The infamous series is very great can’t wait to get the collector’s ed. PS4 day 1 shipping I’m out!!!!!!!!! My anticipation for this game is mindblowing. Also, Ryan Clements, so happy to see you back in the business and even happier you’re over at Sony. You were missed! Looks really nice cant believe this game isn’t creating more of a buzz. CLEMENTS!!! Good to see ya’ up @ Sony. They scored a lot of talent from IGN. Great preview. I wasn’t the biggest fan of the PS3’s Infamous games; but even I am gettin’ interested in this one. Power effects looks very fluid. I have this game in my GF GameQ. Pre ordered PS4 in June. Traded in my PS3 and Dualshock controllers and games at my local GS for the PS4 camera and a extra Dualshock 4 controller. Let the freaking games begin! Got this Game Pre-Ordered and Paid!! Can’t wait! Can I suggest that all PS4 games include the Vita RemotePlay button mapping in the store? I’m always going to want to spend a lot of time playing my PS4 games on my Vita, while my GF watches TV. So, having well thought out controls is important. There is a big difference between being clever, or just dumping it onto the back panel like one PS4 game I tried. I also think that RemotePlay games should allow a player to fall back to customising their own controls, if the default controls are too bad. I’m really looking forwards to see how creative developers can be to make the games work on the Vita. If you see existing Vita games like KillZone, Uncharted and Resistance; you’ll see how a clever mapping of controls can make a big difference. 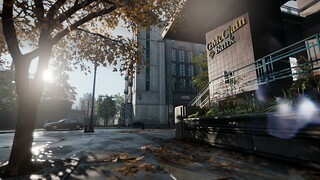 Open-world with super powers at glorious 1080p, SuckerPunch you guys won! The anticipation began when I completed Infamous 2! The original Infamous was the title that really grabbed ahold of me and began my journey to PS exclusivity in my home. 2nd Son is looking absolutely fantastic and I can’t wait to take it for a spin! Ryan, you are getting some awesome hands on opportunities! Congrats! This game is in the queue of my must-buy games. I would take it home when I buy a ps4 console in store. 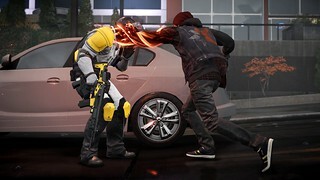 Though the precessors didn’t get much receptions and became famous as other third-person action games, inFAMOUS the second son has already surpassed its precessors and will be successful. That neon looks pretty good. I cannot wait for this game. I am waiting until it comes out to get my ps4 however. I am hoping that they will release a bundle package for both the console and the game. Does anyone know or have any idea as to weather or not they will be doing this? Releasing a PS4/ InFamous: Second Son bundle???? I want it so bad! Gameplay is looking fun. What a gorgeous looking title too.